Phone booking: 8 a.m. - 10 p.m.
Express bus service from the Katowice Airport. EKSPRESTRANSFER.PL provides express bus connection of Krakow with the Katowice Airport. A comfortable bus will take you directly to your place of destination. The bus does not stop at intermediate stops, so the journey is shorter. Eksprestransfer.pl is the official carrier of Wizz Air and Ryanair. We also provide services to passengers of other airlines. In case of flight delay, the bus waits for passengers. WiFi is available while travelling with EKSPRESTRANSFER. We also offer other comfortable and fast transport services from the Katowice Airport. 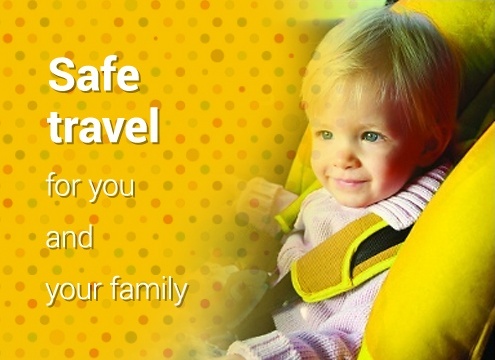 Free car seats for children are available on routes: Katowice Airport – Kraków, and Katowice Airport – Katowice, and Katowice Airport - Częstochowa We offer collection from and transport to a given address. We provide a convenient and secure ticket booking system. We are available at Skype user name: eksprestransfer.pl, and at +48 603 966 598. 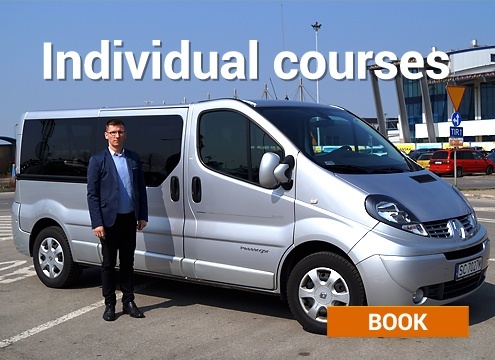 We enable booking of transport from the Katowice Airport in different directions, with trained drivers at the wheel. Sample of available directions: Katowice Airport – Kraków, Kraków – Pyrzowice, Katowice Airport – Częstochowa, Katowice Airport – Katowice, Katowice Airport – Zakopane.